Amber Sigman (b. 1976, USA) is a freelance photographer based in Louisville, Kentucky. She holds a degree in photojournalism and anthropology with emphasis in culture from Western Kentucky University. 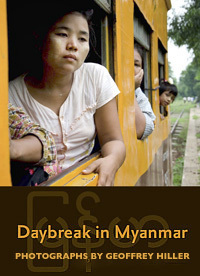 Amber has worked as a photojournalism teacher in Myanmar (Burma), Thailand, Vietnam, and Cambodia. She has also worked as an independent contractor and photo editor for MSNBC.com. Her awards include first place sports photo with sports shooter.com, second place photo story with the Wyoming Press Association, third place feature in the Kentucky Intercollegiate Press Association, and were featured in the Western Kentucky University- Nat. Press Photographers Assoc. clip contest.